Michael Bloomberg might still run for president in 2020, especially if former Vice President Joe Biden winds up not getting in, according to people who have discussed the matter with the former New York mayor. Between the lines: These people tell me that Bloomberg, 77, who announced March 5 that he wouldn't run, might reconsider if a centrist lane were to open up. The most likely scenario for that would be if Biden, 76, whose displays of public affection have burst into a major issue, were to stay out or fade fast. 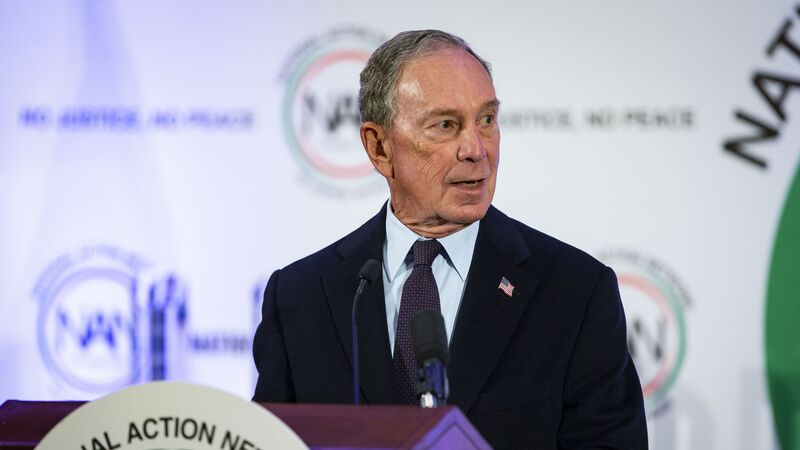 Bloomberg, estimated by Forbes to be worth $58 billion, could spend unlimited amounts to argue that no one in the race had done more to promote action on climate and guns. So Bloomberg, at least at first, could command a hearing and impose a footprint in a way that few candidates can. The people who have talked to Bloomberg caution that if he were to revisit the decision, he might well wind up in the same place. But we're told Biden's presumed candidacy was a fairly significant factor in Bloomberg's decision, after massive spending on data and polling. The race looked like "a bloody fight for the same slice of voters," a source said. But Bloomberg really wanted to go, according to numerous friends. "He's a data guy," one of them said. "He couldn't get the math to work." Be smart: Bloomberg's second thoughts speak volumes about how Democrats view the allegations' damage to Biden, who has spent days dealing with wall-to-wall coverage of whether his touchy-feely, gregarious style is fine or a bit creepy. It's unlikely to stop Biden from running, but certainly makes him look more vulnerable than a week ago.